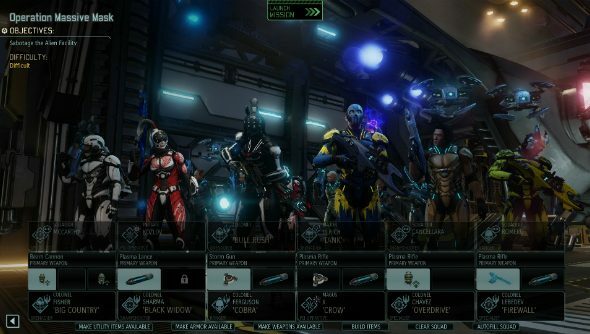 The creators of the much-acclaimed Long War mod for XCOM: Enemy Unknown and Enemy Within are working on more tweaks to XCOM 2. If that’s not enough variety for you then here are the best strategy games on PC. Having already released three mods for the tactical alien revolution simulator on launch, Long War Studios are now at work on another five to be released for free over the coming months. The first, released today on the Steam Workshop, is called Toolbox and brings a series of small changes to soldier stats and UI as well as adding support for up to 12-person squads and a Red Fog which causes injuries to affect soldier stats. Mods to follow after Toolbox include Perk Pack (new soldier classes, abilities and a create-your-own-class option), Laser Pack (a new weapon tier, released on the same day as Perk Pack), Alien Pack (10 new alien enemies) and a mysterious fifth mod. The near-total overhaul of XCOM: Enemy Unknown by the Long War team was so successful that it wouldn’t be out of place to suggest the fifth mod could combine the previous four with more extensive underlying changes, but we’ll find out if that’s the case soon. For now, you can find the Toolbox mode on the Workshop.